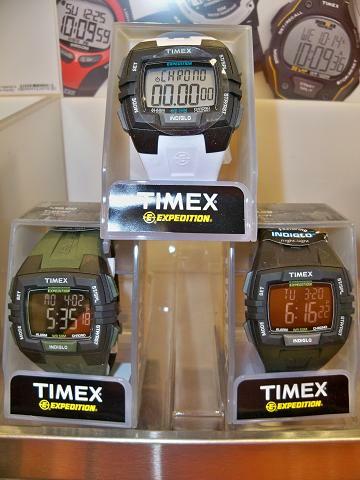 I spotted these new digital Timex Expedition watches at Target last week. I hadn't seen this style of Timex digital watch. I particularly like the models with a bright numerals on a black LCD background.